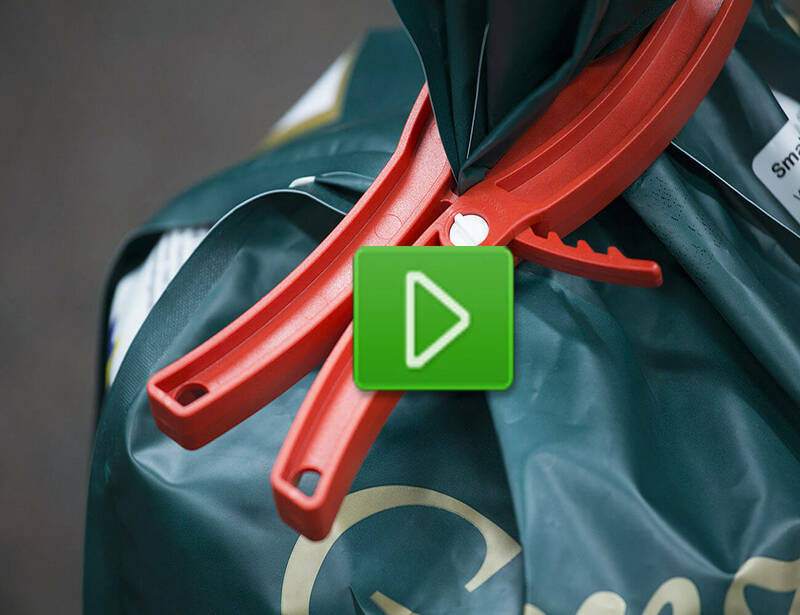 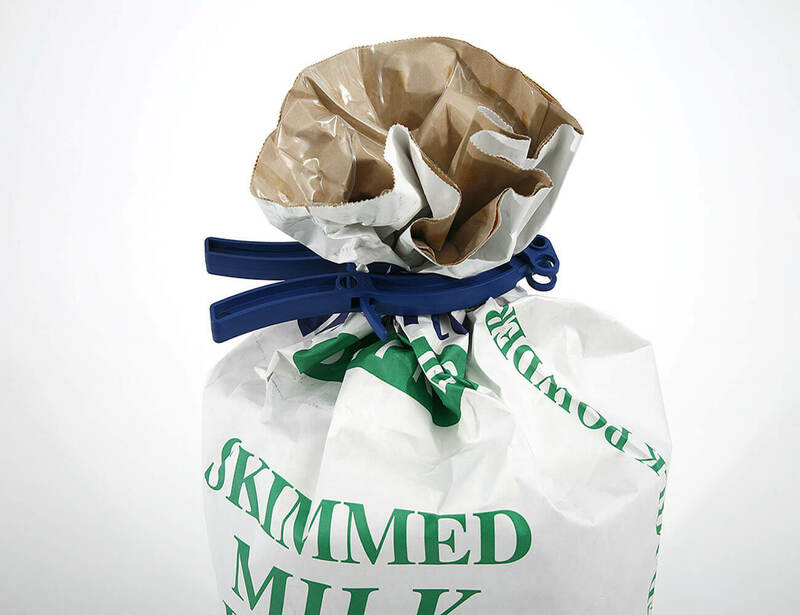 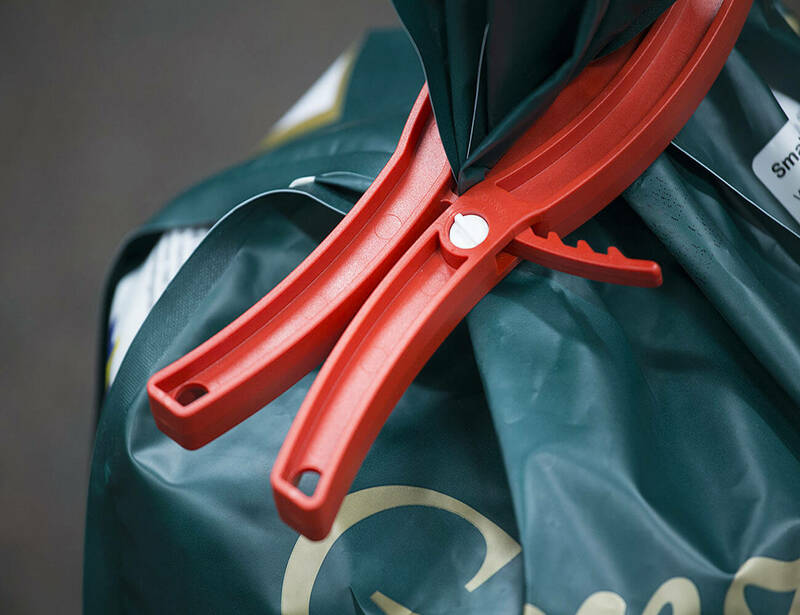 Big bags are essential in modern production but there is the problem of how to close partly used sacks and bags. 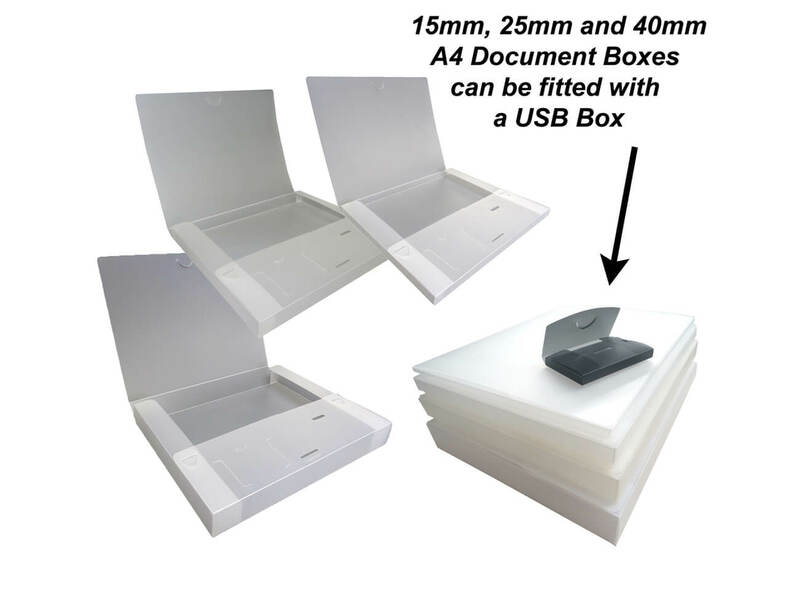 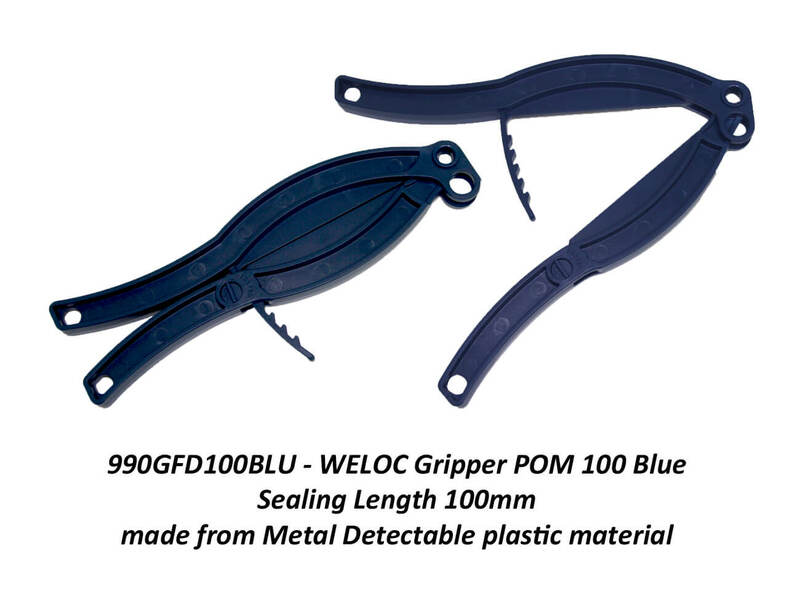 The WeLoc range of closures is the low-cost solution which can be used hundreds of times, keeping partly-used raw materials safe and secure. 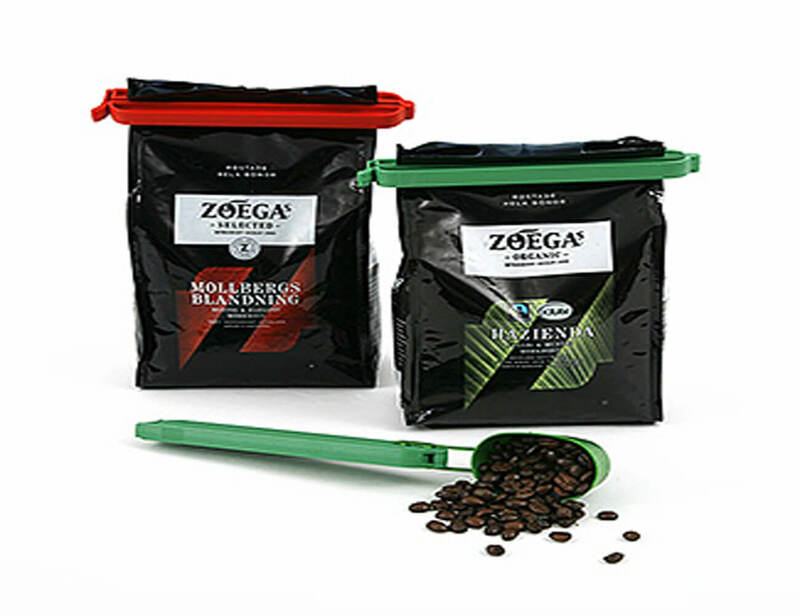 Use with almost any ingredients to maintain quality standards, reducing wastage from cross-contamination and spoilt production. 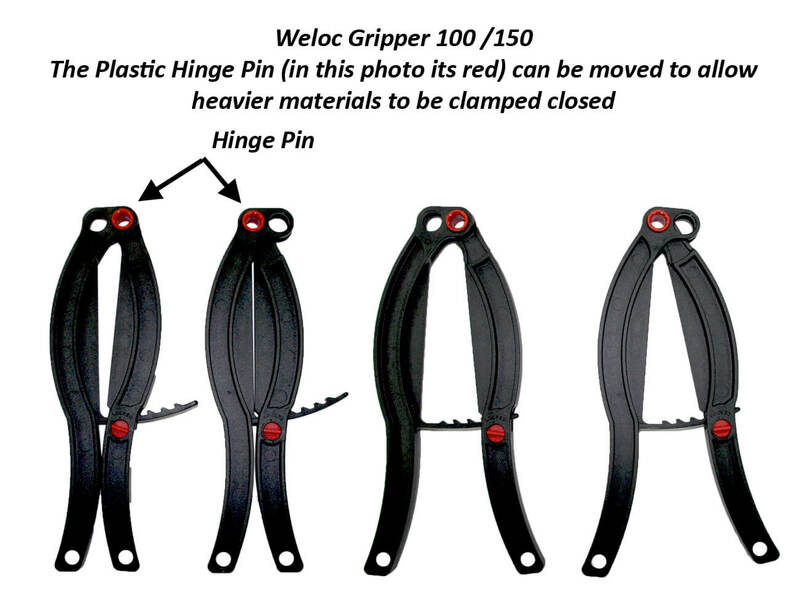 The Gripper’s Hinge Pin can also be moved, to allow the Gripper to work effortlessly with heavier materials. 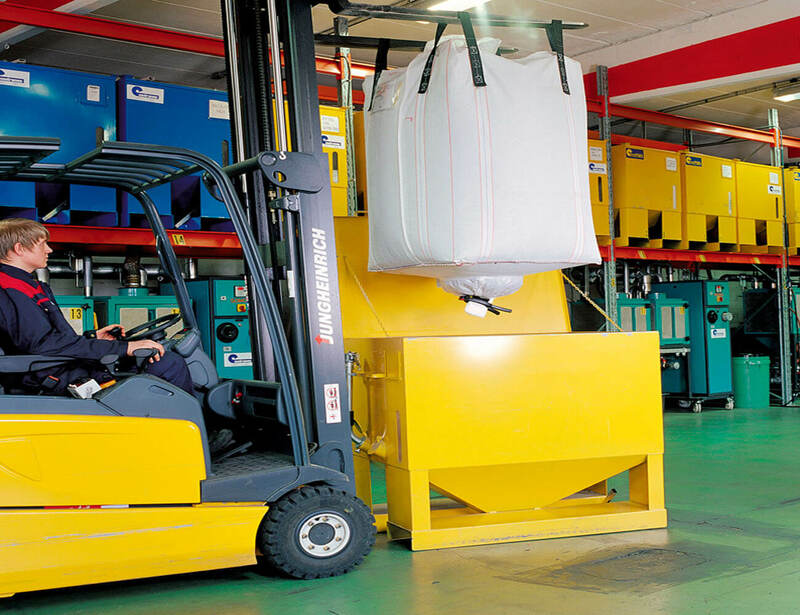 One turn of the locking button provides additional security, perfect for pharmaceutical and factory production. 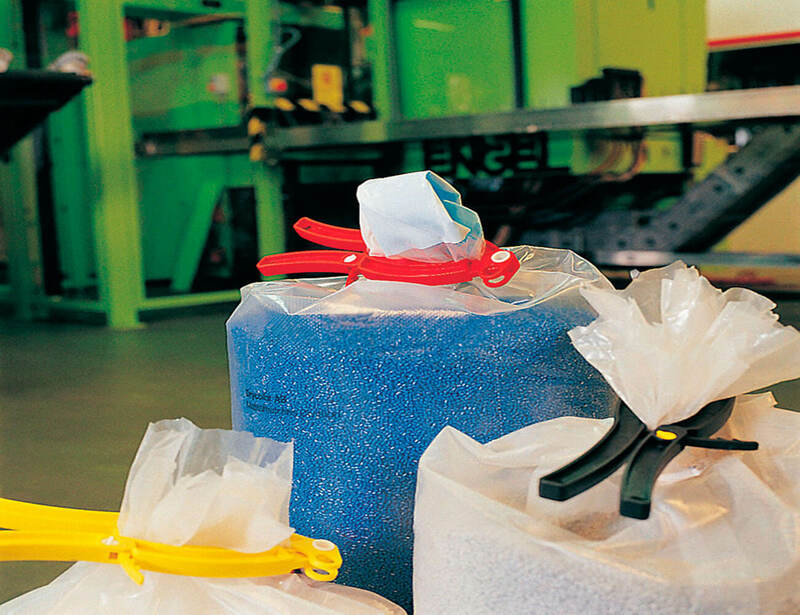 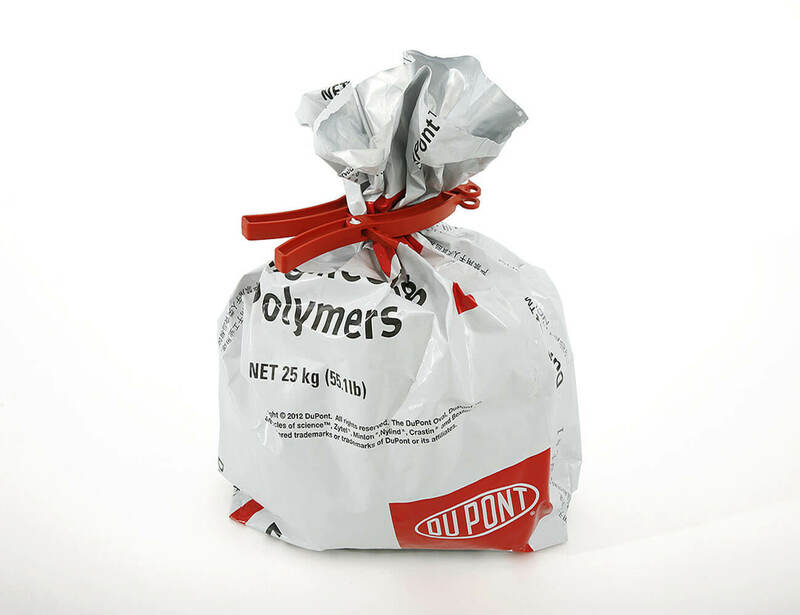 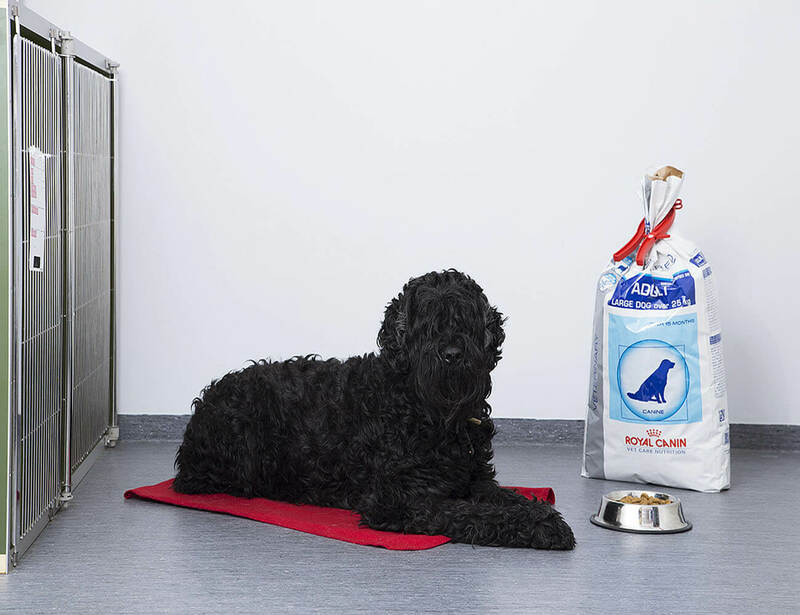 Use to reseal commercial catering packs in food kitchens or raw materials in the warehouse to provide simple and effective containment for powders and fluids. 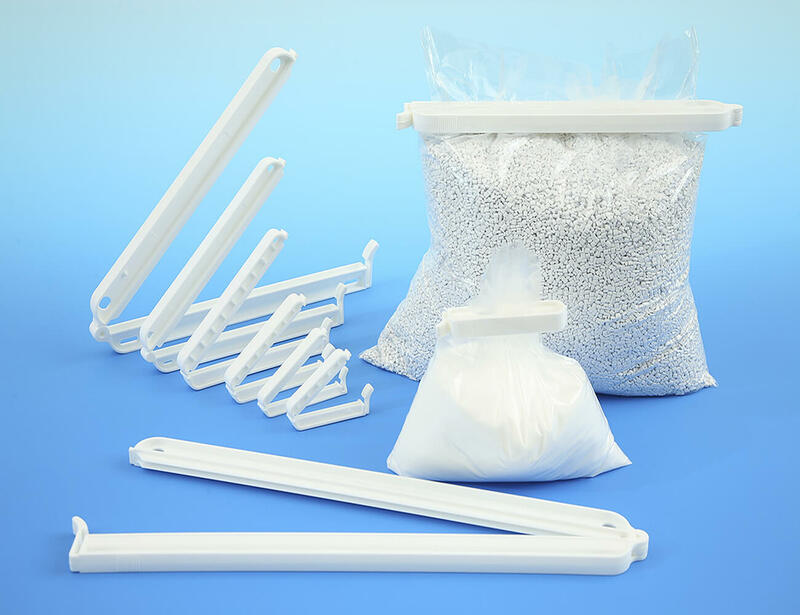 To maintain hygiene, they can be sterilized via Autoclave, EtO or Gamma systems for hospital and laboratory applications. 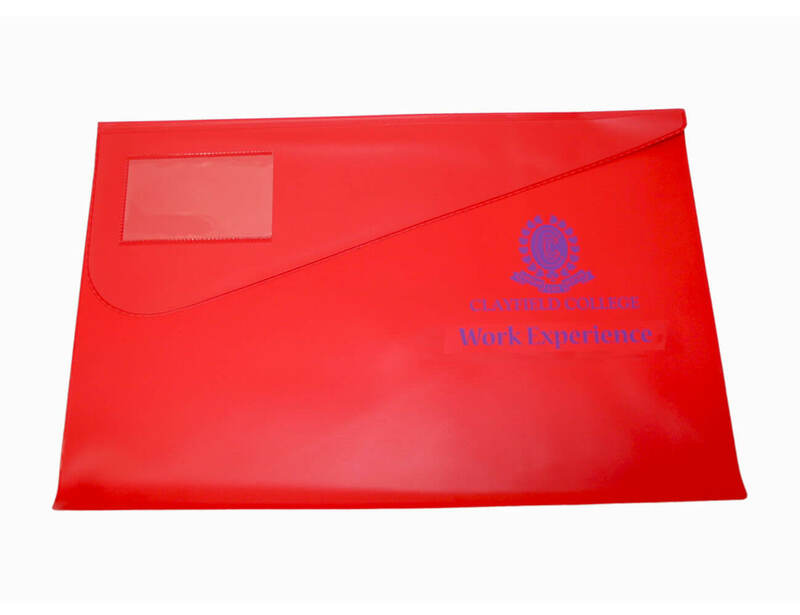 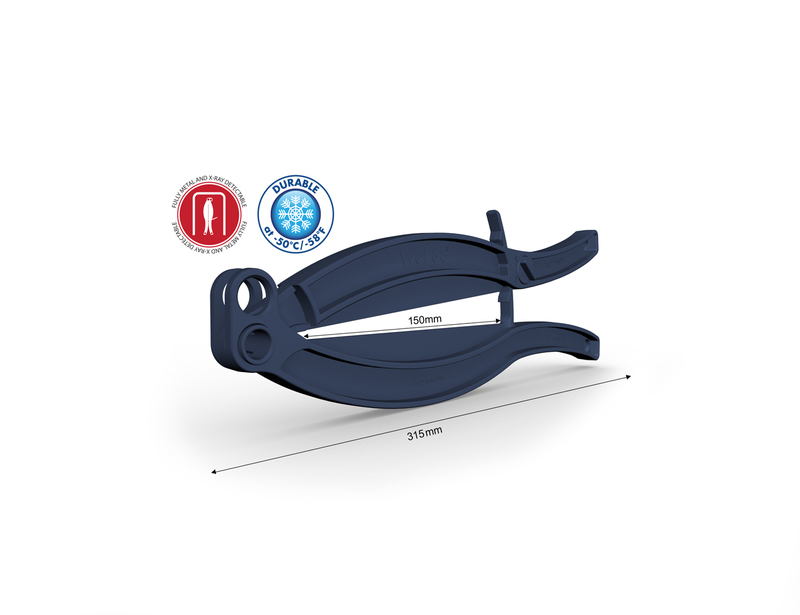 Manufactured in Sweden it is approved for use over a wide temperature range, -20°C to +140°C. 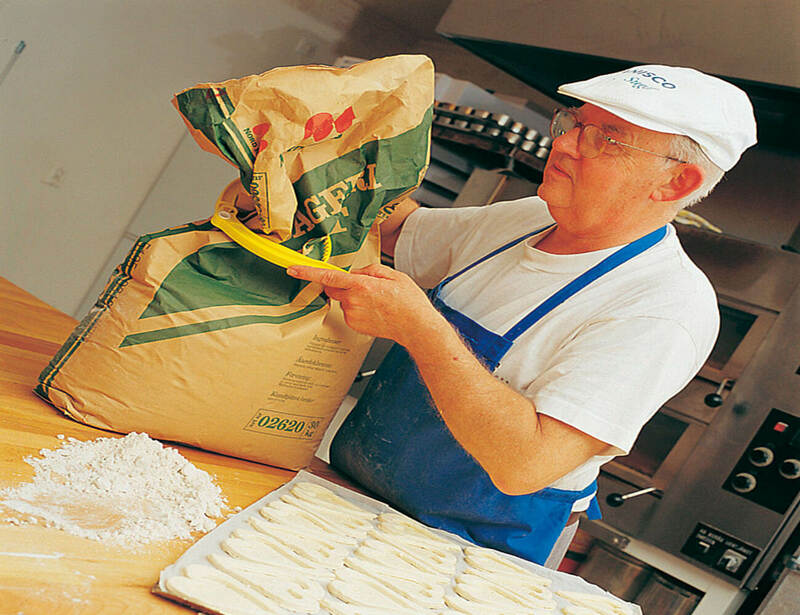 Production meets European and US food contact legislation, free from cadmium and lead, certified to ISO/TS 16949:2009 & 14001 standards. 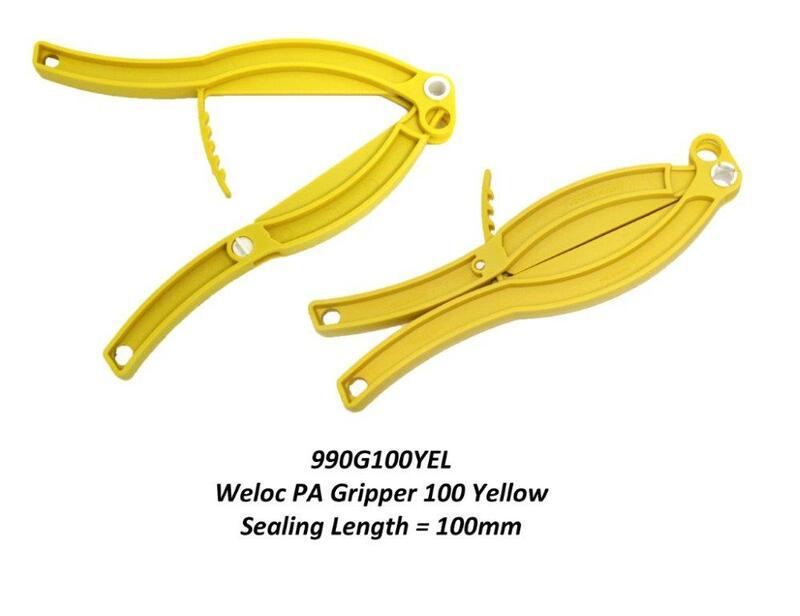 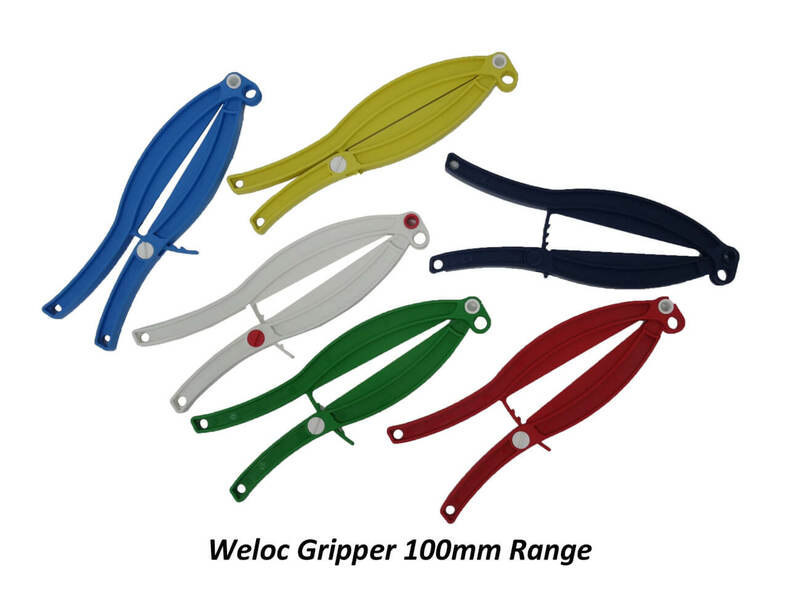 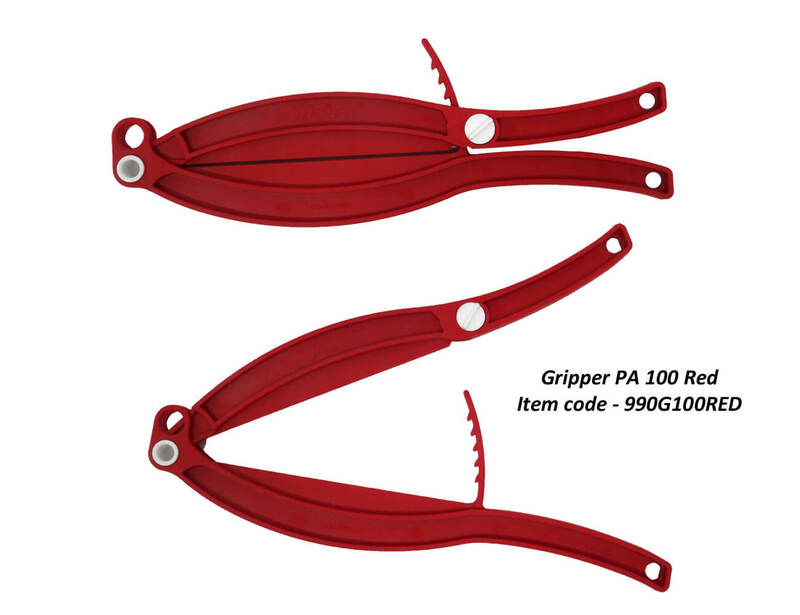 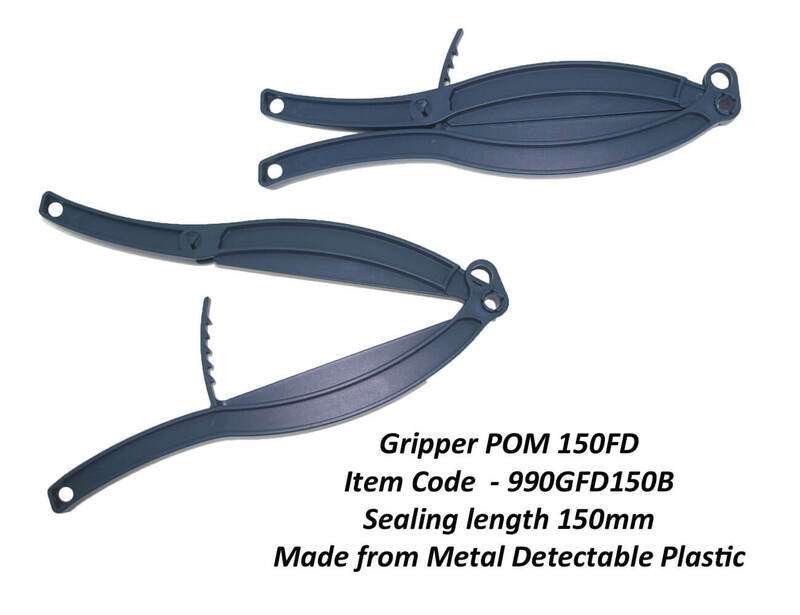 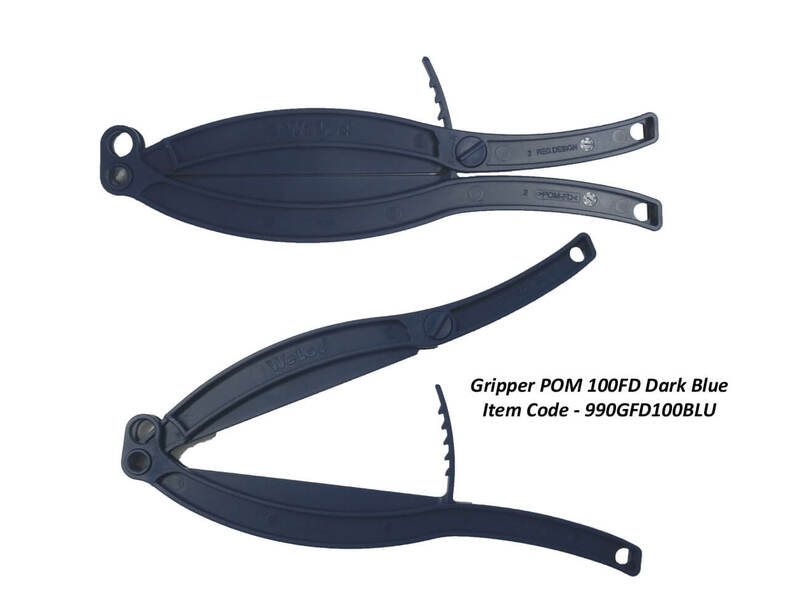 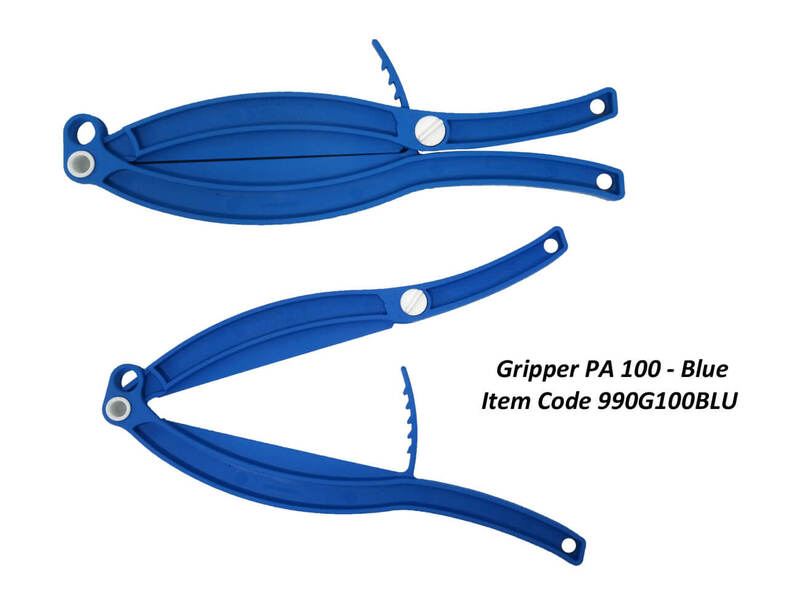 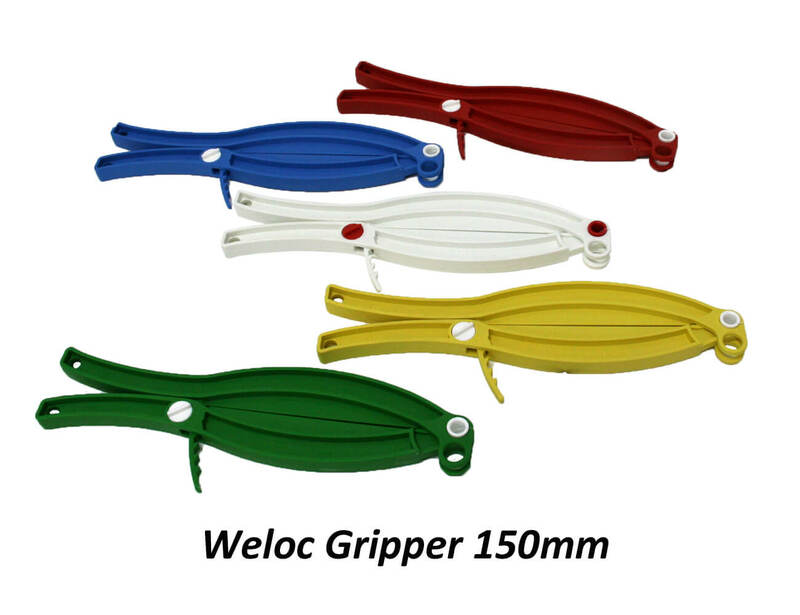 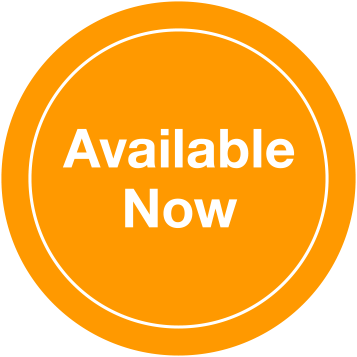 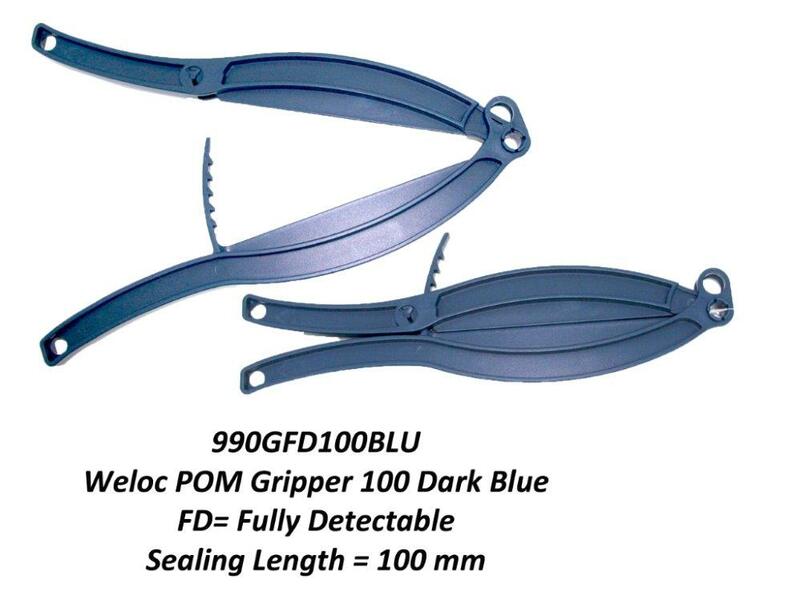 The Gripper is available in 100 mm and 150 mm capacity in standard material or fully metal detectable options.